We use UPS Ground as our primary shipper. Most orders received by 2 PM EST. will be shipped same day. We provide tracking numbers and insurance on all packages at no additional costs. Shipping rates may vary and depend on location, size, weight, and speed. UPS has increased their rates recently and we have no control of it. A $5 handling fee is applied to all online and phone orders to cover costs of boxes and extra charges from UPS. Residential addresses are charged an additional $2.50 by UPS. UPS doesn't ship to customer's P.O. Box. Additional costs may apply. We use UPS/USPS as our primary international shippers. Please email us first before you place an order so we can confirm we ship to your location. Customers are responsible for all customs and taxes. 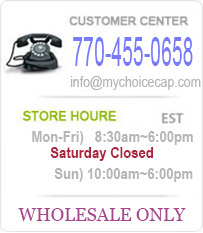 Please email us your order so we can calculate shipping for you. Additional handling fee is applied to all international orders. Tracking and Insurance is only available with global express or priority mail and UPS. We do not ship to Africa! All sales are final. We do not offer refunds or exchanges on any merchandise. The only exception is in the event you receive wrong or damaged items. Any problems must be reported within 3 days of delivery of item. Call us immediately at 770-455-0658. You can ship items back for refund or exchange only when we confirm we will receive your items. Customer is reponsible for shipping both ways.